Get groovy with our cross drilled and grooved brake discs! Bearmach’s new cross drilled and grooved brake disc range is designed to allow gases to escape that build up between the brake pad and rotor. This allows your brakes to run cooler and stop better. 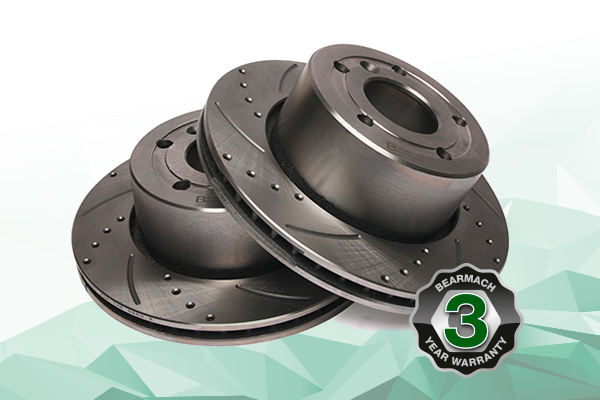 The Cross Drilled and Grooved Brake Discs also come with Bearmach’s new 3 YEAR WARRANTY which covers Bearmach own-branded products. Ask your Account Manager for further details.